Rosie Williams, team manager of the GB U24 women’s wheelchair basketball squad. 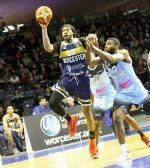 A UNIVERSITY of Worcester student has spoken about her achievements in helping one of Great Britain’s wheelchair basketball squads to defend its European Championships title. 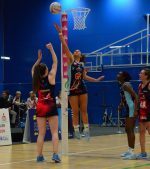 Rosie Williams was appointed team manager of the GB U24 women’s squad as they took on their European counterparts during the tournament in France last month. Rosie, who is studying for a BSc (Hons) Sports Coaching Science with Disability Sport at the University of Worcester, said: “It’s an honour to have been appointed the GB U24 women’s team manager and a bigger honour to do so at a European Championships. “To work with an innovative, dedicated and gritty team of staff towards a common goal was an incredibly exciting experience. Rosie, from Penmaenmawr, Wales, began coaching wheelchair basketball through completion of her Duke of Edinburgh Award and has herself played for Wales U15, U19 and U23 squads. 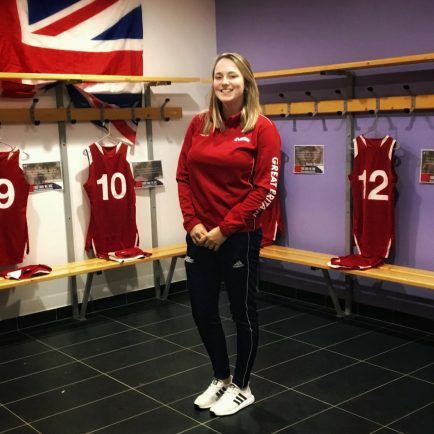 “Opportunities began opening up and I became the Wales U15, Coventry Wheelchair Basketball Association and England Central U18 assistant coach,” said the 20-year-old. “Through moving to Worcester I began shadowing the GB Wheelchair Basketball squads sessions and got a taste for what it’s like working at the elite level.